Every Mother’s Day, my sister and her husband join his family and thousands of others as they convene on the fabled Philadelphia Art Museum steps for the annual “Race for the Cure.” My brother-in-law’s entire family walks in memory of their matriarch who tragically succumbed to breast cancer after a long, hard-fought battle, flagged with several triumphant remissions, but which ultimately ended in devastating relapse. In fact each year, hundreds of families and loved ones participate in the “Race for the Cure”, donning all shades of pink, adorned with “I walk in memory of” tributes and the names of those they’ve lost. But the most revered race participants are those who stride down the Benjamin Franklin Parkway proudly wearing the banner of “survivor,” triumphantly reclaiming their health as they walk the walk in their recovery from cancer. Well, it depends on how you define “deadliest.” If you mean what kills the most people, the deadliest disease in the US is nicotine addiction. Smoking kills more people than any other disease in America by causing, or helping to cause, heart disease, high blood pressure, several types of cancer. 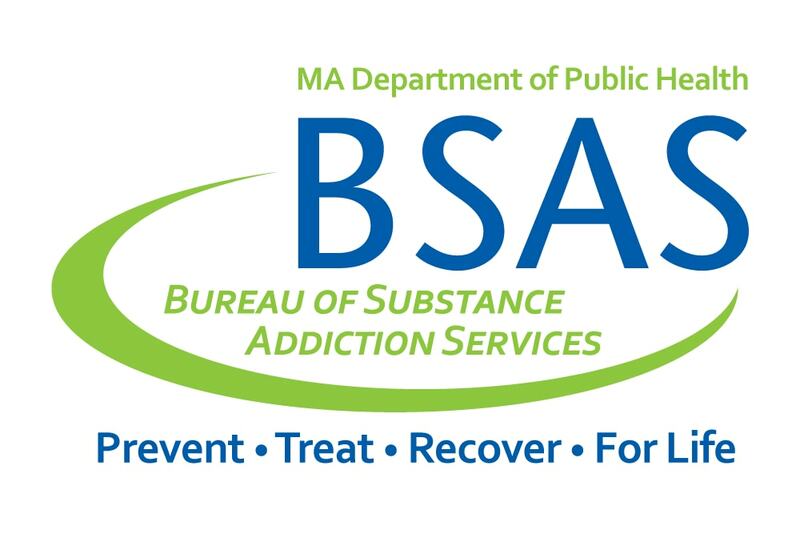 This doesn’t include the countless other people, many very young, whose struggle with addiction has led to death; either by accident, violence, overdose or perhaps the most overlooked death by addiction, suicide. Last Fall, after watching the documentary The Anonymous People, one of the RECOVER Project’s members was so struck by a line in the film that said something to the effect of “no one runs races for addicts,” that she brought an idea to the RP community to plan a local road race and was met with wide-spread interest. At one of the first meetings of the newly established “Race for Recovery” committee, Adam Mitchell from the Greenfield Fire Department blazed in, burning with a mission to somehow help the addicts he saw overdosing nearly every day. He declared that since the RP is known for supporting recovery in town, and the first responders had recently experienced such a staggering amount of devastation as a result of the local opiate epidemic, he came to the RECOVER Project to help do something about it. Thus the Firebird 5K was born. The organizers of the event took off running! Adam joined up with new RP community member Devon De Korver, to get this massive event off the ground. 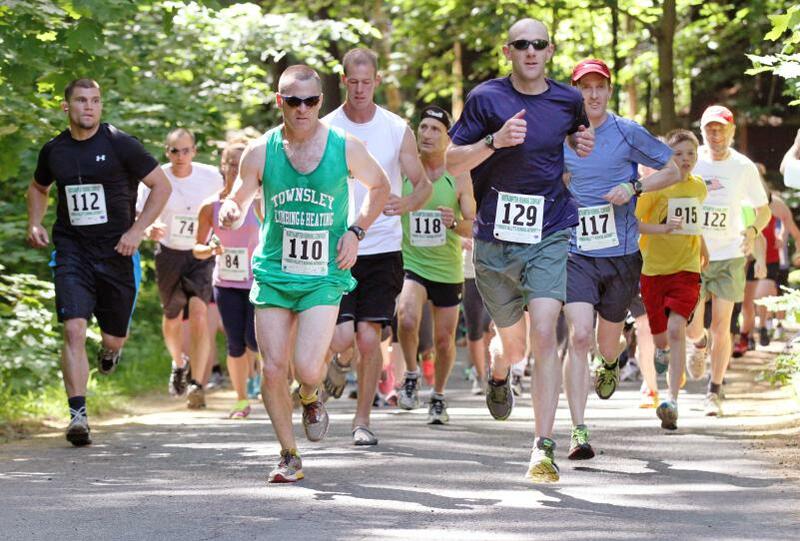 In just six weeks, they had not only established a route through Greenfield, but had also paired with an online run registration site, and had secured several very generous sponsorship pledges from local organizations including the Baystate Franklin Medical Center. Devon even joined with a few other recovery community members to train as a “couch to 5K” team to run in the event. Individual team members raised their own sponsorship donations and the enthusiasm for the event caught on like wildfire. There was even a team comprised of men from the Franklin County Corrections re-entry program- Team Hurricane, who trained with their Corrections Officer. He won with a blazing time of 18:01:00! Race day was forecasted to be hot, but that didn’t stop the RP and GFFD volunteers from arriving early and enthusiastic. Devon and Adam had guessed maybe 30 or so people would register for the first Firebird 5K, but by the end of the online registration there were already 80 racers. Over an hour before race time, a line had already begun to form at the registration table. All said and done, there were nearly 150 registrants in the race. As the crowd grew, I sat with an RP member at the table selling t-shirts (which are still available for sale, by the way…) and had the opportunity to ask some of the participants what it was that brought them to the race. 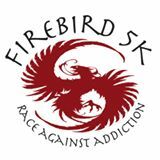 One woman said she loves running 5Ks so she did a little searching online and stumbled upon the Firebird 5K Facebook page. Her friend told me that when she found out the race was to benefit people in recovery from addiction she just knew she had to run. She then quietly confided in me that her brother had died of a drug overdose earlier this year. I got a shiver when she told me, my mind recalling all those pink “race for the cure” t-shirts with pictures of loved ones lost. We need to be able to talk about this, I thought, to say OUT LOUD how profoundly addiction has affected our lives. We are walking among the survivors of this devastating disease, and as a community, we NEED to do something about it, to show support for one another. That’s what this day is all about! After much deliberation and a less than stellar training regiment, I made the decision to enter this 5K as a walker. At 10AM, I joined the rest of the racers at the starting line and found myself wishing I had a “survivor” shirt to wear, as the feeling of community swelled around me. The Valley Medical team in matching purple shirts chatted excitedly, and a guy from the jail, in his hand-painted “Team Hurricane” tee leaned into a stretch. I breathed in deeply and took in the moment, resisting the tide of competitive spirit by making a conscious choice to let go of any expectations for this race. Just walk the walk I thought, just walk the walk. Being near the back of the pack for most of the route, I was able to fall into a sort of walking meditation while strolling through the back streets of Greenfield. About half way through, as the route rounded onto Hope St., two members of the RP waved me through excitedly: “You’re doing great!” they yelled, “You’re almost there!” And I commented to them how fitting it was to literally be walking along Hope St, in a race for recovery. I felt a wave of gratitude wash over me as I began to fathom the full meaning of this event. I was struck by the thought of my dear cousin who, after 8 triumphant years of recovery, died suddenly last October as a result of the medications she had been prescribed for pain and anxiety. At that moment, I looked to the sky and saw a striking arrangement of clouds. “It’s an angel,” I thought. And then it occurred to me…no, it’s not an angel. It’s a firebird!